Need a Durometer Stand? See Compatible Stands Below. The D Scale Durometers Measure the hardness of pipeline coatings, plexiglass, epoxy, vinyl, cellulose acetate, and other similar materials. 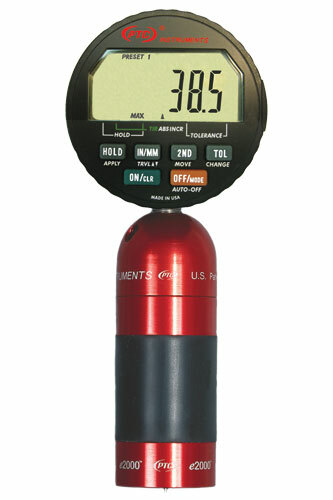 The Digital Durometer features a large direct read LCD display, electronic max hand, USB data ports for computer compatibility, a locking feature to prevent accidental erasure of tolerances, automatic shutoff and low battery warning. 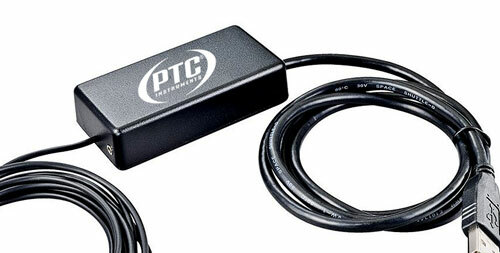 PTC®'s SmartCable can be added to any digital durometer. The output of the SmartCable USB Keyboard is a standard 2.0 keyboard signal. Readings can be sent to any Windows application's cursor point or highlighted cell. Works great with Mircosoft® Excel. No special software required. 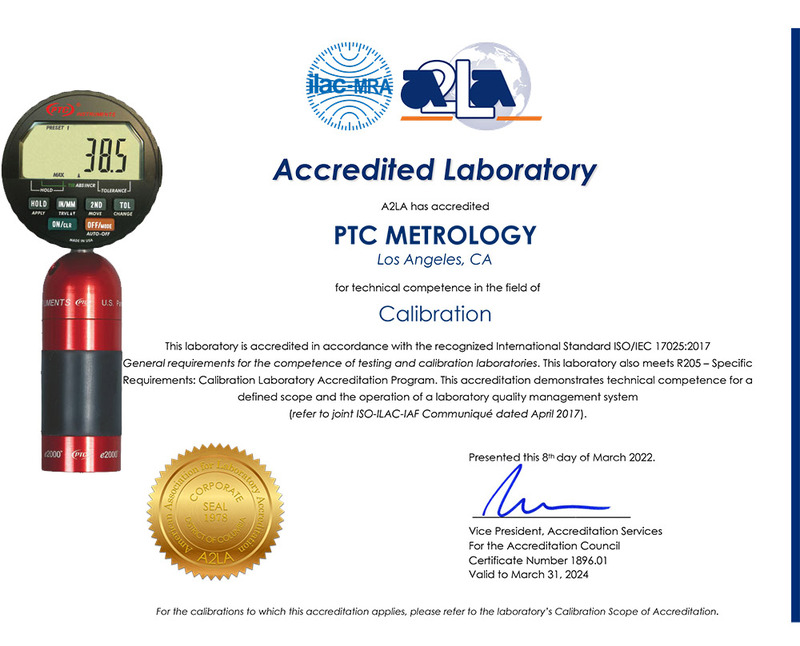 For a complete calibration check of mainspring, and visual and mechanical check of indenter, the instrument should be returned to PTC® (see Guarantee & Calibration Service) or refer to ASTM D2240 Specifications. PTC® recommends the unit be returned at least every 12 months for this check. For a quick field check, follow the guideline below. 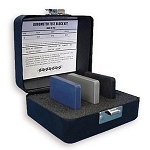 Under no circumstance should a test block be used as a standard to calibrate a durometer. 1. The pointer should read zero when no force is applied to the indenter of the durometer. 2. Hand hold the durometer and insert the indenter into the hole of the calibrated test block. Apply enough force to make firm contact between the top surface of the test block and the presser foot. The dial reading should agree with the value stamped on the check block (±1). Several tests should be made and the results averaged. 3. The indenter must protrude 0.098 to 0.100 inches below the presser foot. 4. When the indenter is fully displaced, the durometer should read 100 points. Use care as to not damage the tip of the indenter.